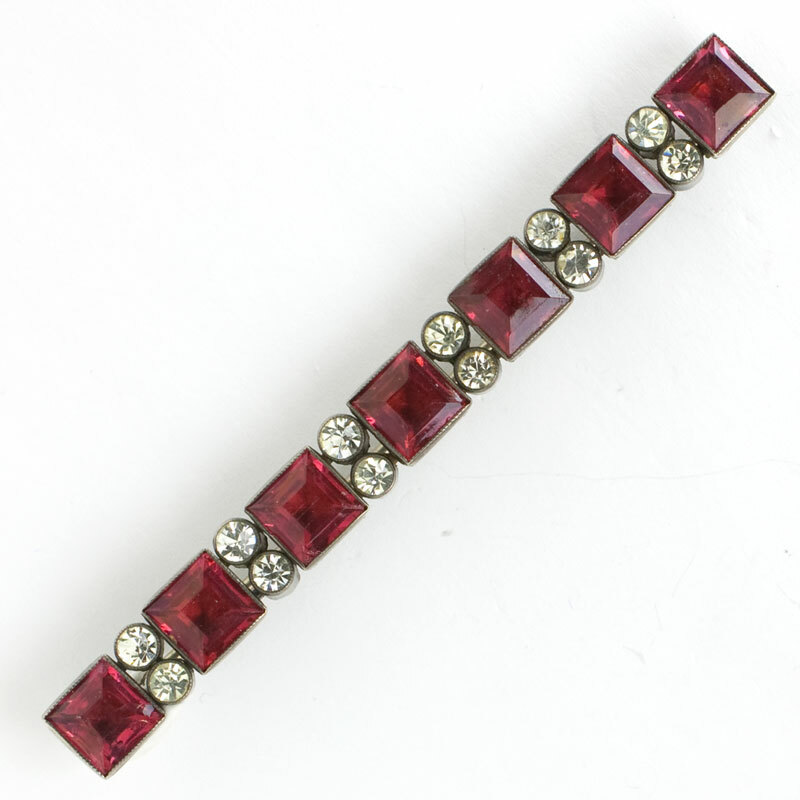 This Art Deco bar brooch has large, faceted, square-cut ruby-glass stones divided by pairs of round diamanté. This well-made, sterling silver piece is finished with engraved edges and an older-style clasp. The 935 mark, which refers to a higher silver content than the American sterling standard of 925 parts per 1000, makes me think this lovely piece is European in origin. 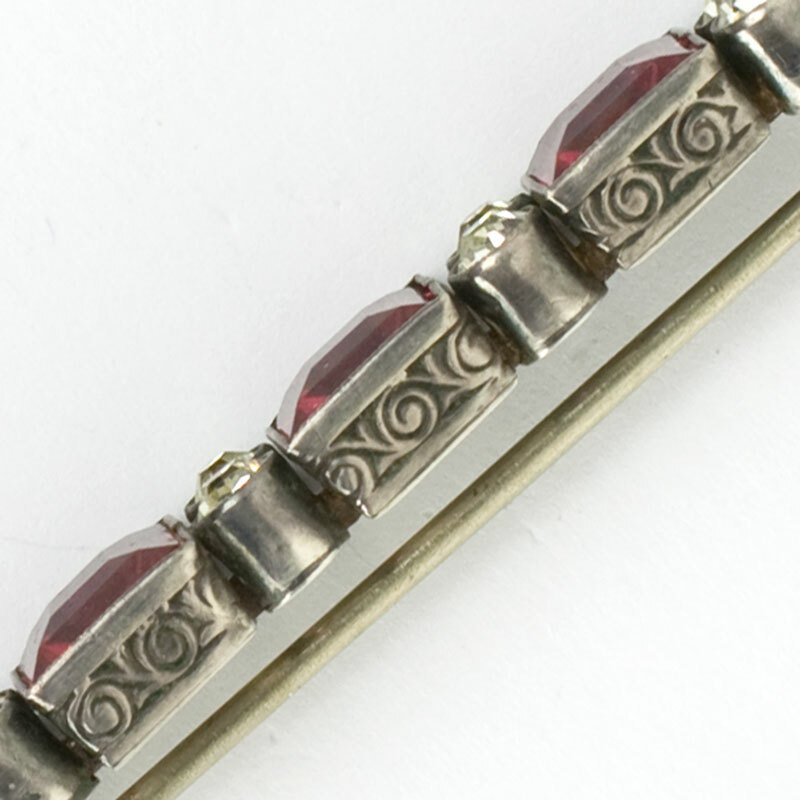 Bar brooches never go out of style, and this one is exceptional! 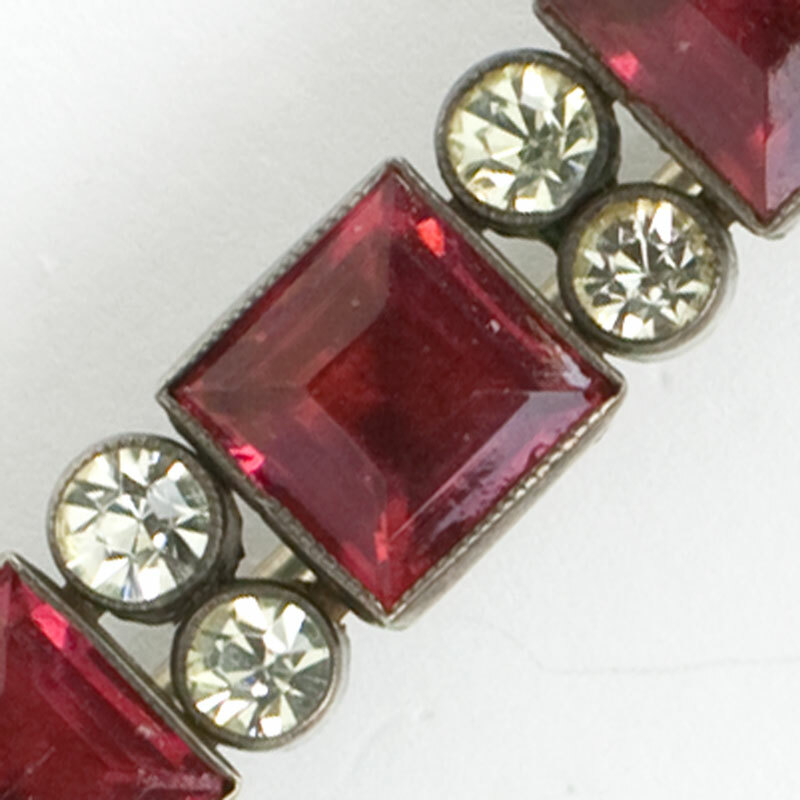 The deep-red stones are perfect for a woman who looks best in cool colors. Just add your own real or faux diamond stud earrings to complete the look.